For thirty years from 1701 to 1731 following the death of Prince Louis I, Monaco came under the rule of his son Antoine I. Antoine would prove to be a wise statesman and an accomplished military strategist. Many of the features that Monegasques hold dear today, Antoine preserved for posterity or improved. During his reign, Monaco’s status as an independent country was reaffirmed. He also had a reputation for caring for his people and his popularity as a sovereign is undeniable. Importantly, Antoine’s love for the arts helped distinguish Monaco among its European neighbours as a country of high culture and refinement. Prior to acceding to the throne, providence would have it that Antoine would earn his spurs as a soldier in one of the defining wars in history. The “Nine Years War” often called the “War of the Grand Alliance” is sometimes referred to as the first global war. Monaco would prove to be a staunch ally of France. Pitted against Louis XIV of France and Monaco was a European coalition of Austria, the Holy Roman Empire, the Dutch Republic, Spain, England and Savoy. During the war, Antoine’s prowess as a soldier and ally of France was honed at Philipsburg in Germany in 1688 and in the Battle of Fleurus in 1690, together with the Sieges of Mons and Namur in 1691 and 1692. 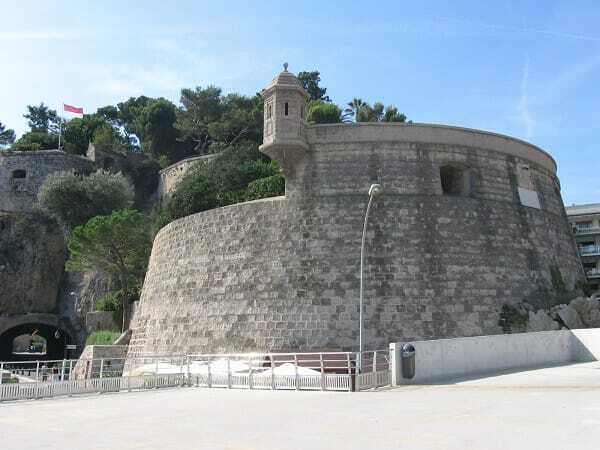 Monaco itself was in direct threat from the British from the sea and Antoine immediately set about strengthening Monaco’s defenses. 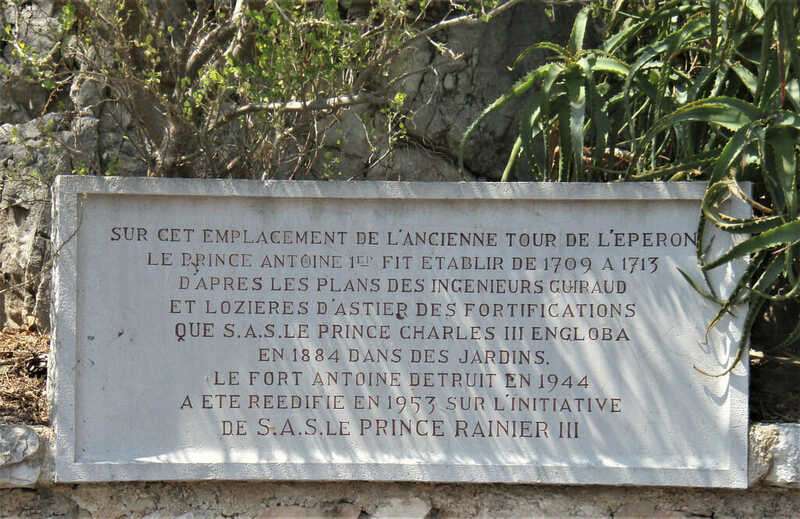 All of the resources he could muster went into the reinforced bastions and battlements on which canons stand today – with the plaque “Fort Antonius” bearing witness to his efforts. Such was the financial drain on an already strained treasury that Antione melted down the family silver and sold the family jewels to pay for the vastly improved defenses which took until 1713 to complete. Improvisations included an array of natural barriers to impede the enemy, including prickly pear and spiked agave plants strategically placed. One of the great achievements that earned Antoine the respect of his subjects is that he undertook the construction of enormous underground bunkers to protect his citizens from potential cannon fire. And he added giant cisterns to store water in the event of a siege. The welfare of the Monegasque population was always one of Prince Antoine’s chief priorities. He was fondly known by them as Goliath because of his great size and strength. Savoy threw their lot in with the Grand Alliance in 1705 so Antoine had to prepare to defend Monaco from Savoy who were threatening from the mountains. Antoine’s capabilities as a military leader propelled him to devise a plan to position a major defense force in La Turbie where there was already a sturdy fortress. 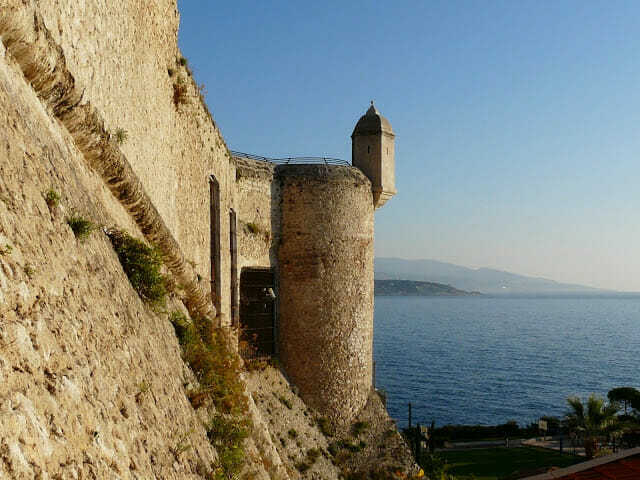 Emperor Augustus in Roman times had identified La Turbie as militarily vital and Antoine knew he needed a strategic line of defense to the North to protect against the Savoyards. Unfortunately the plan hinged on the cooperation of allied French forces based in Italy who were commanded by an inexperienced aristocrat. Antoine was the eldest of Catherine Charlotte de Gramont’s six children by Prince Louis I. He was healthy at 40 years old when he succeeded his father as Prince of Monaco. He was a great soldier and statesman and beloved by his Monegasque subjects but the same love was not shared between him and his wife Marie of Lorraine. On June 13, 1688 he had married Marie of Lorraine who was the daughter of the Comte de Armagnac. The marriage was arranged by none other than Louis XIV at Versailles. It was not a happy union saved by the fact that Antoine was away much of the time on military campaigns. Marie absented herself from Monaco at every opportunity. Still, the union created six daughters, three of whom did not survive early childhood. Antoine’s eldest surviving daughter, who like him was loved by the Monegasque population, would succeed him. She was the Sovereign Princess Louise Hippolyte. Unfortunately, that would set up a troublesome dynamic with an ambitious husband who was a “lesser noble” and not a Grimaldi, and who did not endear himself to Monaco’s citizens. He was Jacques de Goyon Mantignon, Comte de Thorigny. Sovereign princess Louise-Hippolyte would be felled by small-pox only one year into her reign. However, Antoine’s progeny did result in a stable and enduring governorship of Monaco after his death after all. This was due to the fact that Prince Antoine I had a number of illegitimate children, one his own namesake. His illegitimate son Antoine, son of the dancer Elizabeth Dufort would come to be known as Le Chevalier de Grimaldi. Following Louise-Hippolyte’s untimely death and short one-year reign, he would become the de facto ruler of Monaco for over 50 years with the title Governor General and Regent.